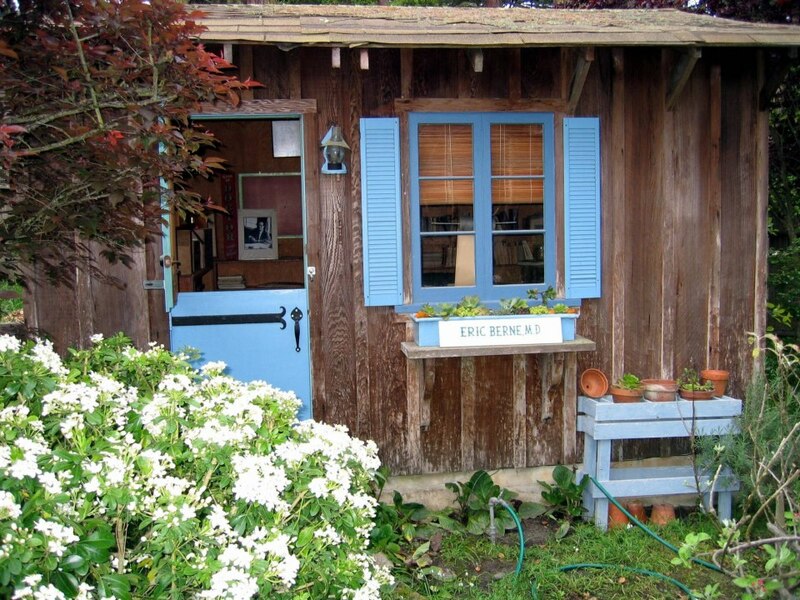 Eric Berne and the history of his Carmel, CA house. Eric Berne settled in Carmel, California in 1948 after leaving the United States Army. 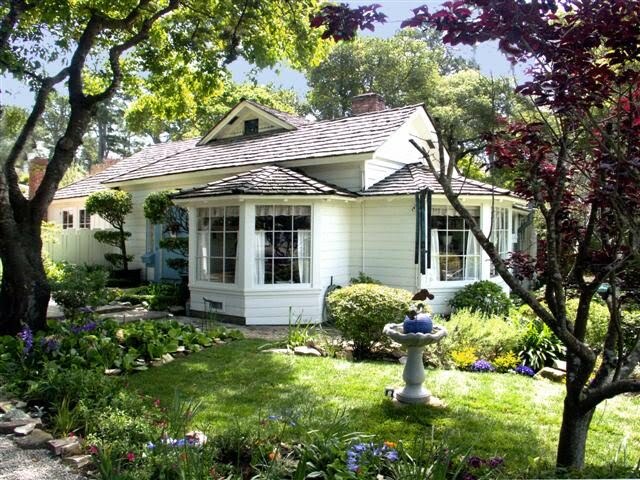 Below is the history of his home in Carmel as well as many pictures. 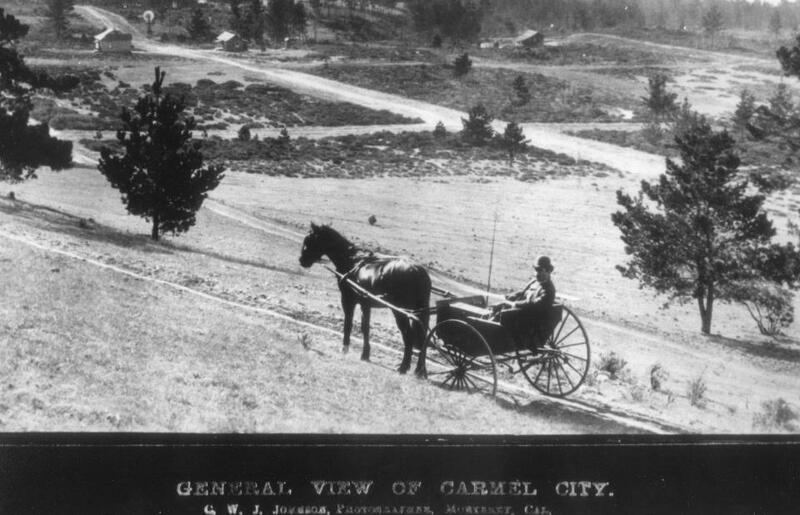 The surveyor Davenport Bromfield came to Carmel in 1888 to map the streets. This home was built exclusively for him. It is the oldest house in Carmel and is on the both the state and city Registries of Historic Homes. Eric purchased the house in 1948 and then renovated it and expanded it to accommodate his growing family. 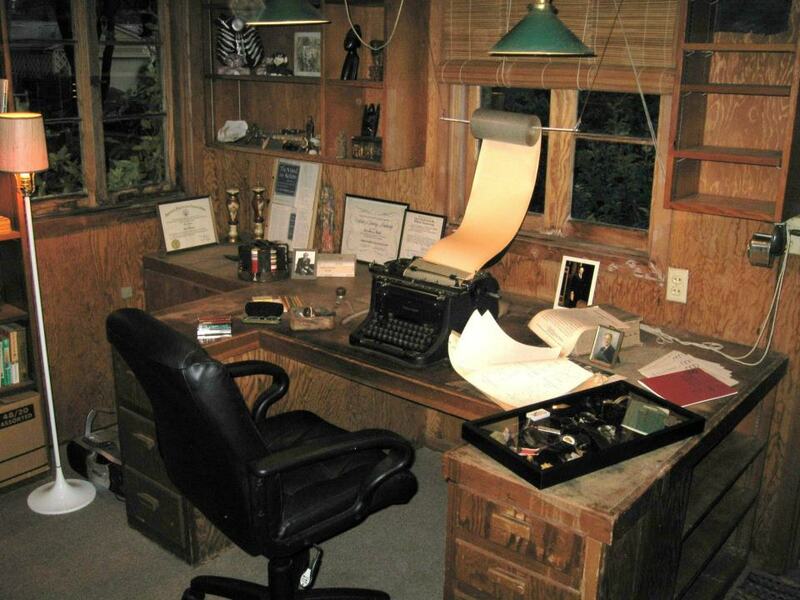 In addition to the main home, there is a study in which Eric did all of his writing. Photograph of Eric Berne’s home in Carmel, taken approximately 2008. Courtesy Janice McGee, Eric’s stepdaughter. Eric also had a writing study on the property. It was located at a sufficient distance from the main house to provide Berne with the peace and quiet needed for him to write. After his death in 1970, his study remained intact. Many photos and manuscripts are still present. Terry Berne, Eric’s youngest son, uncovered the manuscript which would become A Montreal Childhood in this study in 2008. The inside of Berne’s study. The typewriter is still present, over 35 years after his death. Courtesy Janice McGee, Eric’s stepdaughter. Note: the above information and photographs were supplied by Janice McGee, Eric’s stepdaughter.